Many people throughout Canada and the United States have visited Mexico on holiday. Mexico’s idyllic beaches, warm winters, and high value for the money have made it a top destination in the western hemisphere. Despite overblown safety concerns by US news and media outlets, hundreds of thousands of US and Canadian citizens are in Mexico at any given time. If you have concerns about safety, please read this article for a no-nonsense perspective about Safety in Mexico. A majority of visitors arrive by air into Mexico. Necessities like a visa are handled proficiently at the airport. 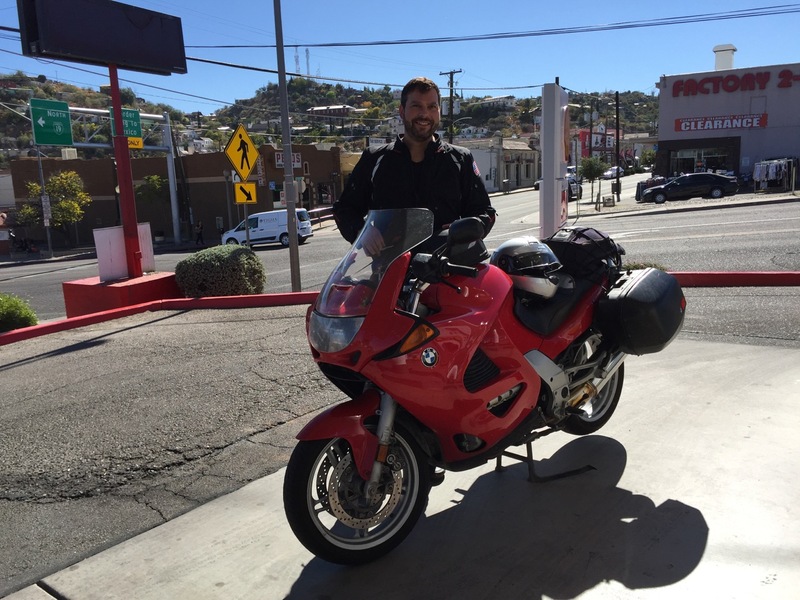 What happens when you wish to traverse Mexico in your vehicle? Whether by car, motorcycle, or RV, Mexico makes an equally charming and festive destination over land. 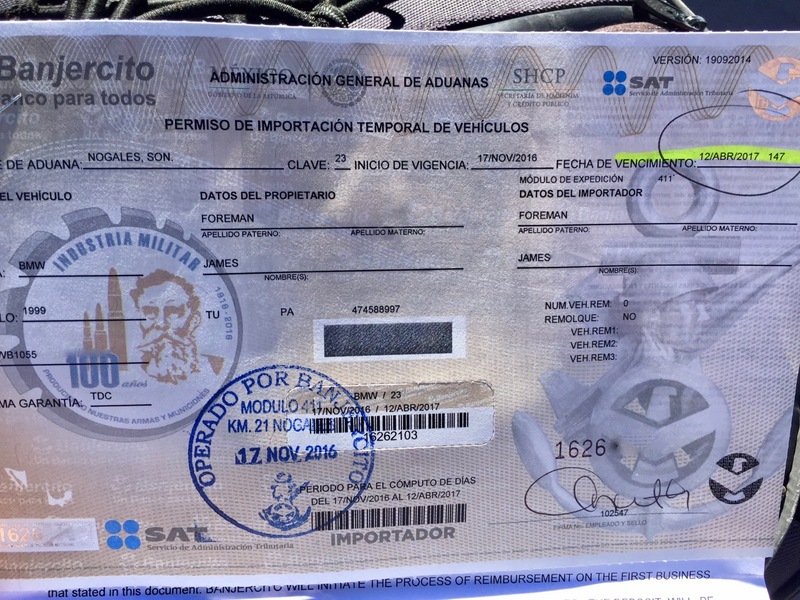 Though it’s relatively easy to travel with your vehicle into Mexico, there are several things you must do and have in order before you depart. It’s also imperative to take care of some tasks after you cross the border and prepare to follow-up before you leave. Don’t be dismayed. It’s not difficult. With so many fantastic destinations, the hardest part will probably be deciding where to go. Do you have a Passport or US Passcard? Since 2007, you must have one to re-enter the United States. The good old days of presenting a birth certificate and drivers license are long past. This rule doesn’t mean that you will be refused entry back into the United States if you forgot your passport or don't have one. Do expect to be considered foolish by the border agent, to be chastised and possibly have to go through a secondary screening, upon your return. Additionally, you will need a full passport if you intend to get a 7-day or 180-day tourist visa. If you’re just hopping across the border for an overnight, weekend, or day trip, the Passcard works fine. Fortunately, Canadians are pretty smart about this. US Citizens have the most difficulty grasping that they need to have a passport to cross international borders. Most get it, but an alarmingly high number of people still don’t. 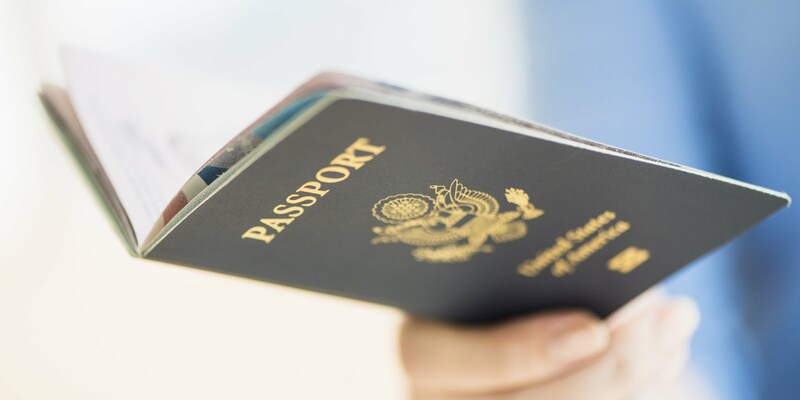 You can download the passport application from the US State Department website and learn where you can submit it along with your photo and money order for the fees. 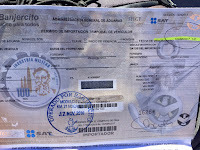 The next thing to think about is whether you need a Mexican Visa and Temporary Vehicle Import Permit. Unless one is a Mexican national, a tourist visa is technically required for anyone from the US or Canada who plans to do anything more than a day trip into Mexico. Now that sums up the technical aspect. The reality is a little different. 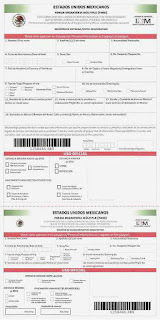 If you try to ask for a tourist visa for an overnight or weekend in Ensenada or elsewhere in Baja California or the Sonora Hassle Free Zone, officials will wave you away unless you insist on one. Here's the reality. 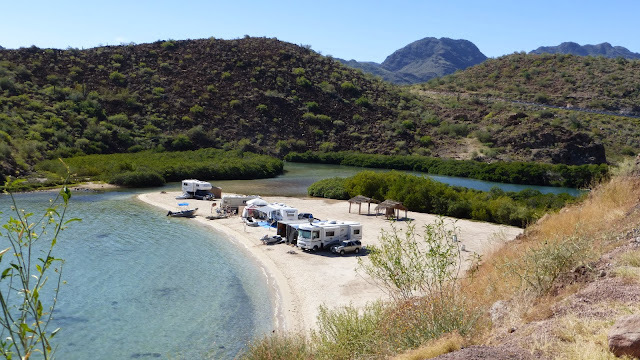 If you plan on staying less than 72 hours in Baja California, within the Hassle Free zone in Sonora, or within a border city, don't bother with a visa. If you plan on staying longer, get the 180 day visa (around $25USD). It's good for multiple overland visits to Mexico within the 180 day period. Though visitors should turn them in at the end of their stay, there's no penalty if you don't. The free 7-day visa does incur a penalty if not turned in or turned after the 7-day period. The need for a Temporary Vehicle Import Permit (TVIP) has a familiar ring to it. 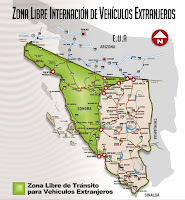 If you are traveling within Baja California or Baja California Sur and will NOT take the ferry over to the mainland, one does not need a TVIP. 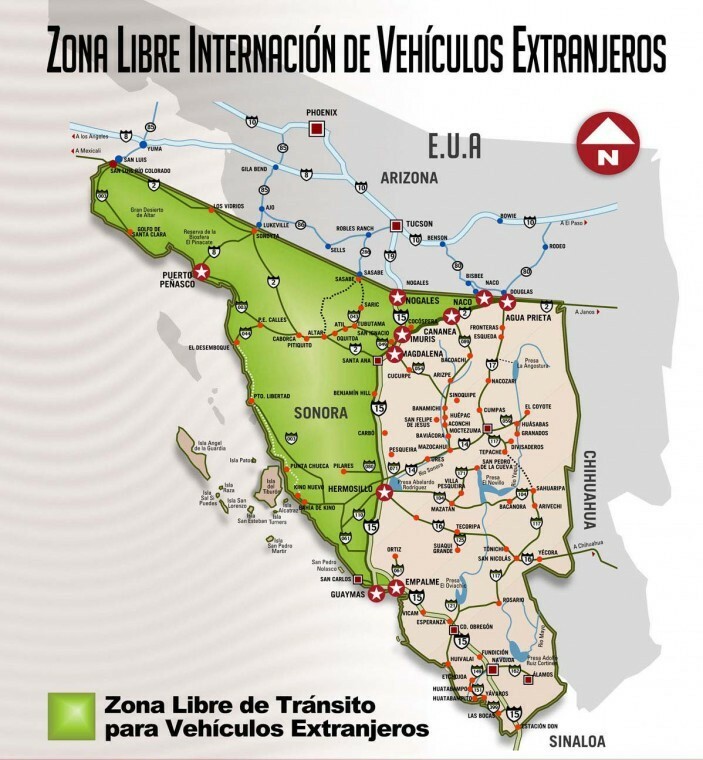 Also in Sonora, within the Hassle Free Zone which includes everything west of Agua Prieta to Imuris and down to Guaymas, no TVIP is needed. If travel beyond Guaymas is planned a TVIP is necessary. The cost of a TVIP is about $65USD. A refundable deposit of $200USD, $300USD, or $400USD is collected either in Cash or preferably Credit Card. It's good for 180 days or the remaining time on your tourist visa. 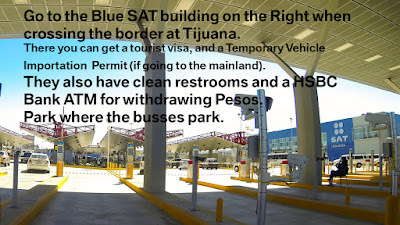 One needs to decide if they want to get their Mexican Visa and Temporary Vehicle Import Permit (TVIP) before they cross into Mexico or after they cross the border. The vast consensus of experienced travelers points to waiting and getting both at the border crossing INM immigration station and Banjercito. Many people don’t realize that International Mail or delivery service takes much longer than the already slow US Mail. Additionally, one may decide on a different vehicle to take, when the trip is actually made. 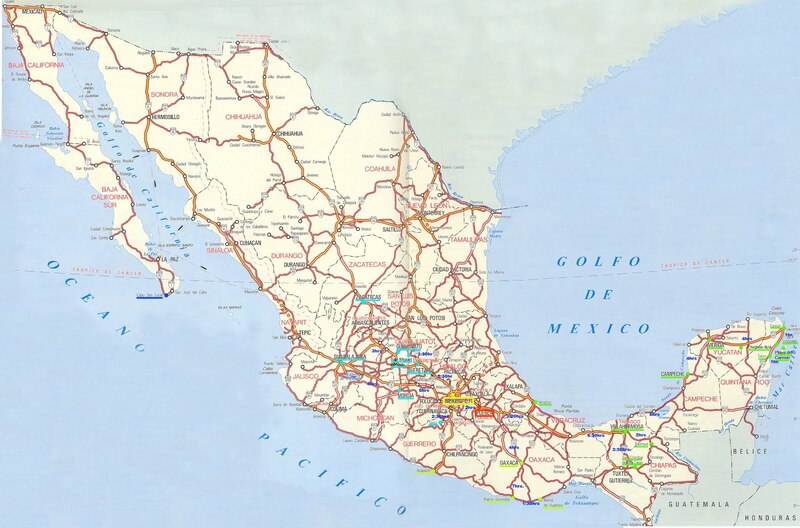 From the main roads in mainland Mexico, there is an Immigration checkpoint between 20Km and 35Km south of the border that you need to utilize. Simply and quickly get everything handled in a few minutes and be on your way. It’s a cinch. While an 180 Day Visa is not a big deal if it gets lost, you are on the hook if your TVIP is lost or does not arrive before your trip. Imagine if something happens to your car such as it gets stolen, is in a serious collision, or totaled before you cross into Mexico. You will incur tremendous difficulties on the Mexican side. It will be excruciating gathering all the documentation and visiting over one-half-dozen different offices, in Mexico, to convince the Aduana of what happened and avoid paying the import penalty (about half of the value of the vehicle) and recovering your deposit. Don’t try to pre-book everything unless you are visiting during a holiday week or weekend like Semana Santa. Relax, when you are ready to stop there will be many lodging options and then you won’t be tempted to do something daft like drive at night to the next city because you had a reservation. 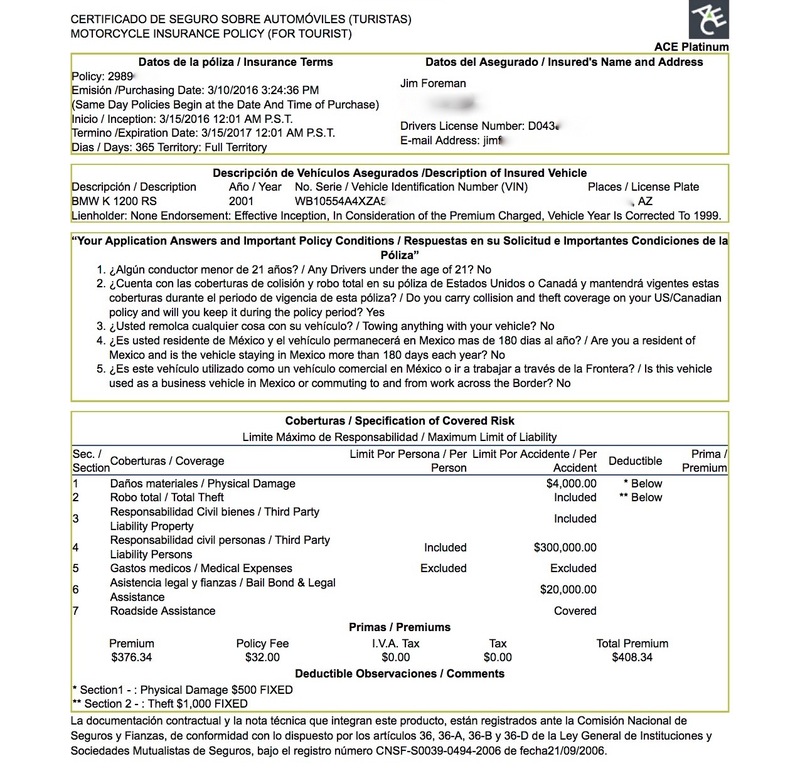 The most important thing one should do before departing to Mexico is to acquire your Mexican Auto Insurance online. 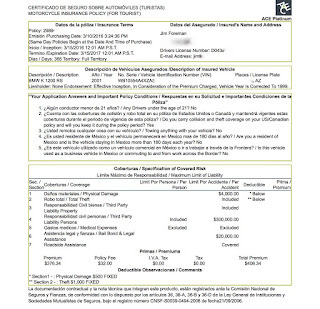 Unless you travel with $300K USD in your car in the event of a collision, you must have Mexican Auto Insurance. That is unless you like the idea of staying in a Mexican jail. No, your US coverage is most likely not valid when you cross the border. Check your policy for coverages. If you wish to acquire travel insurance to cover against mishaps, consider AIG TravelGuard or World Nomads. Both of these will cover you medically in the event of a personal accident, as well as offer some very appealing services and benefits. Do keep in mind that medical expenses in Mexico are nowhere near as expensive as they are in the US. Several hundred thousand Americans travel to Mexico for elective and otherwise costly medical care, annually. It’s not a bad idea to pick up a map of Mexico at your local AAA office if you’re a member or order one on Amazon. If you have a GPS unit, make sure to install or load the Mexico maps, if possible. When you cross the border, there are several things you probably need to handle. The first is money. Here is a detailed story on how to manage money in Mexico. If you wish to exchange US Dollars into Pesos, it’s most often best to do so on the Mexican side of the border. Look for the highest 'Compra' or buy price of US Dollars. Otherwise, find a bank ATM and withdraw some pesos. 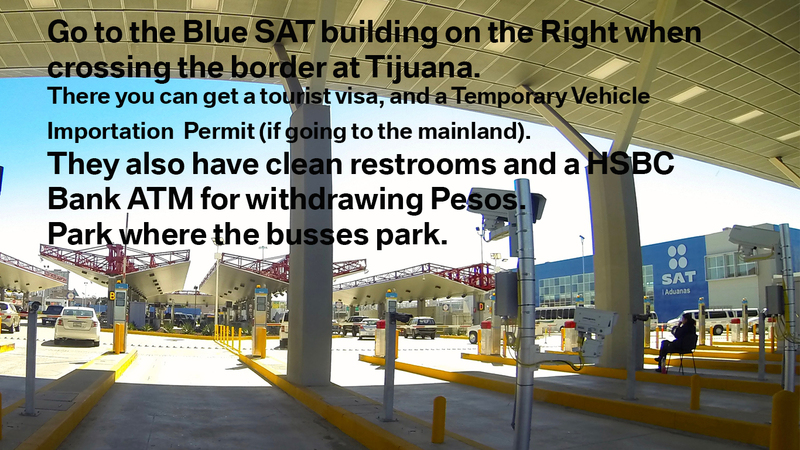 If you chose to get your Visa and TVIP at the border, you will need to plan for a short stop at the appropriate location for your crossing. As mentioned earlier, most people find the process at the border to be straightforward and fast and with a lot less hassle than going online. Depending on where you cross the border, the Immigration may be located just around the corner or up to 40 kilometers south of the international crossing. A great site to show you what to expect at certain border crossings is iOverlander. One of the more confusing border crossings for getting your tourist visa and TVIP, if necessary is the big one in Tijuana. Once you cross the Red light-Green light lanes, hang a sharp right after the inspection area and park where the busses park. Then you walk through several buildings and can get your tourist visa, pesos from a bank ATM and use the restroom. Now you have your auto insurance, optional travel insurance, money, and if necessary, visas and TVIP. All you need to do is head to your destination and enjoy the warmth, culture, value and comfort of our great neighbor to the south, Mexico. When crossing into Mexico you must have Mexican Auto Insurance. It's fast, easy and reliable at Mexican Insurance Store. Simply enter your vehicle information, the dates of travel and choose the coverage you want. It's good throughout all of Mexico and will be there for you if ever needed. ©2016 Jim Foreman All Rights Reserved.